In today’s modern world, the catering industry is currently experiencing a huge demand. As a result, the number of the best caterings in the country has incessantly increased since it obviously gains huge profits. 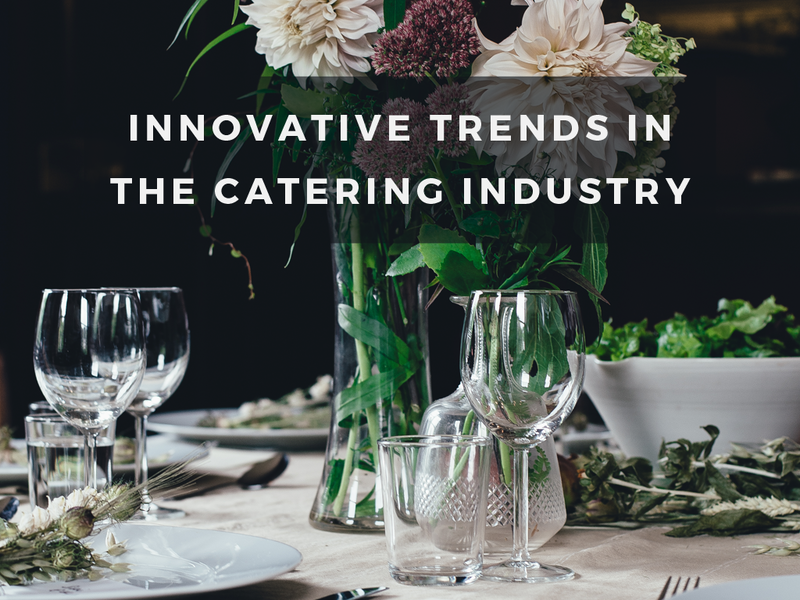 Along with the success of the catering industry comes the birth of new trends in the catering world. These trends will definitely help you in crafting and recreating traditional and modern dishes that your guests and customers will surely love. These are some of the latest trends in the catering industry that every chef should know. As of today, including a single vegetarian alternative to your main dish no longer meets your attendees’ needs. This is why the number of vegan, gluten-free, organically grown, and nut-free food are the most common diets at present. But be careful and be aware in using these certain ingredients in your crafted diet since it may cause allergies to your customers. One example of a diverse diet food is changing Asian noodles into a rice bowl station that includes toppings such as lemongrass chicken, brisket, and vegetables. By doing this, you are enabling your guests and customers to choose based on their preferred diet. How you design and present your dishes will have a great impact on our attendees and customers. Designing your diet food intricately and adding delectable toppings and side dishes will ultimately entice your customers. If you opt to serve fish, you can remove and bake the skin to serve it as a skin chip to complement the main course. You can also use beef, red wine, and mushrooms to create a red hibiscus wine sauce with dehydrated mushroom chips. Or you can opt to serve edible flowers, charred lemons and limes, or carrot ribbon chips. Experiment and try other food ingredients to successfully craft an impeccable garnish. Famous chefs like Keovorabouth highly recommends that every food caterers and planners must start to be creative with their hors d’oeuvres and small plates. Recreating and experimenting with your appetizers will ultimately make your guests and attendees more attracted to your dish. For instance, you can recreate the traditional bruschetta to spice it up a little bit by setting it up to tomato shells that is filled with parmesan mousse. Add a little garnish with balsamic glaze and basil crystals, and you now created the same traditional bruschetta plate with a twist. Moreover, you can also try using Iberico ham in different presentations. Just add an Iberico bacon and an onion apple tart, Fuji apples, Spanish pepper, and manchego cheese with the Iberico ham in small plates and voilaI You have now created an innovative and delectable hors d’oeuvres in no time. If you are feeling more creative, serve your guests and attendees with chorizo with a saffron risotto of manchego cheese, leeks, onions, and shallots. The biggest innovation in the catering industry today is the activeness of the interaction between the chef and the guests. This is the one of the reasons why food stations are so popular in today’s catering industry. Being interactive with your guests may involve you telling stories about the key ingredients you used or how your meat and hams were fed and prepared. When you do this, you will ultimately make your guests happy and contented, which will lead to them being loyal to your food brand. If you are thinking of starting your own food station, you can always opt to start with a cheese station. Serve pimiento cheese, smoked cheddar, jalapeño, and creamy corn with bacon, cheese, and shrimp gravy toppings. By offering more than one option, you are ensured that you will achieve the positive interaction successfully. Finally, well-known chefs like Peter Rosenberg highly suggests that every chef should use the clod heart cut of beef. Seasoning it with garlic will neutralize the livery taste that it has. The best part of using this type of beef cut is its more affordable compared to other meat cuts. Being unique and standing out in the catering industry competition entails more research and experimentation. Though it may seem tiring and hopeless at times, you have to keep on moving forward and do your best to be on top of your game. This will also help you to be more innovative and creative with your dishes which will lead in a respectable reputation and a number of loyal customers.